Girls Aloud was an English-Irish pop girl group, which was created through the ITV talent show Popstars: The Rivals in 2002. In March 2013, after the Ten: The Hits Tour, the group announced their split. 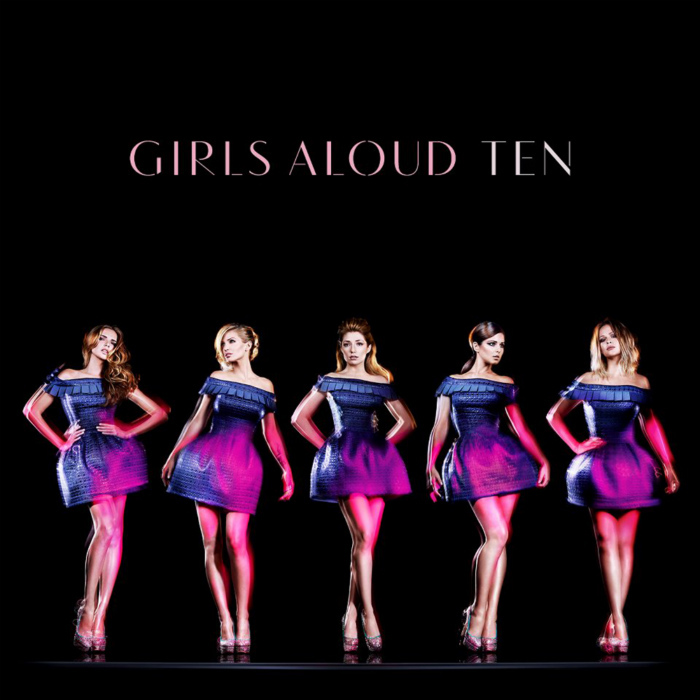 The above is the cover artwork of Ten, the second greatest hits album and the final album released by the group, released on 26 November 2012 by Polydor Records. The font used for the text on the album is very similar to Vanitas Stencil, which is an elegant high contrast contemporary sans by Michael Jarboe. The Vanitas Stencil font identified above is not available for free, please follow the link above and purchase the font. Meanwhile, you can take a look at our collection of fonts for cars, pop music and apparel as well as round-ups of new & fresh fonts around the web. In addition to Ten (Girls Aloud), It seems we can’t find other examples (logos, movie posters, album covers etc.) of Vanitas Stencil typeface in use.